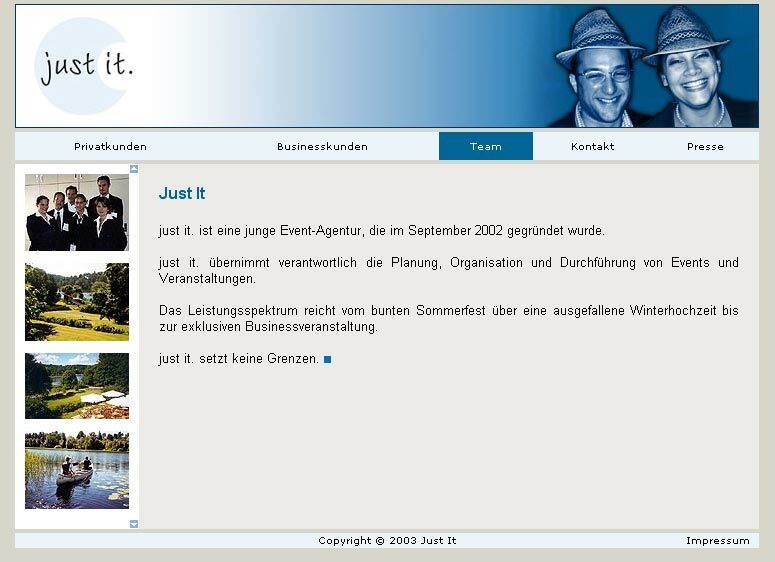 In the summer of 2003, I was approached by “just it”, events organization company, to design their web site. 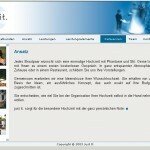 The goal was to achieve the dual design that will appeal to business and private event clients. 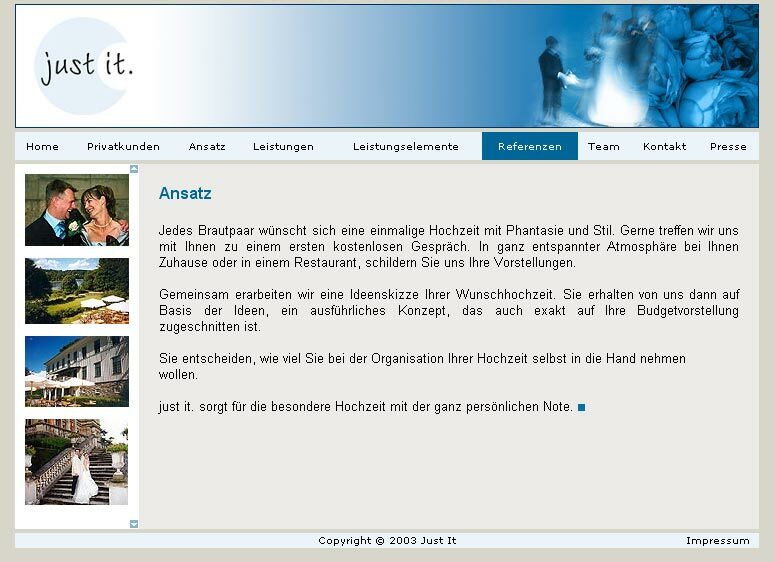 In close cooperation with the client, we have reached the basic look and feel, then a palette for business and private part, but in the end it was done with business version. 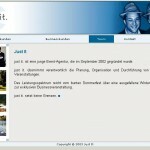 Their website is available at www.just-it.org.